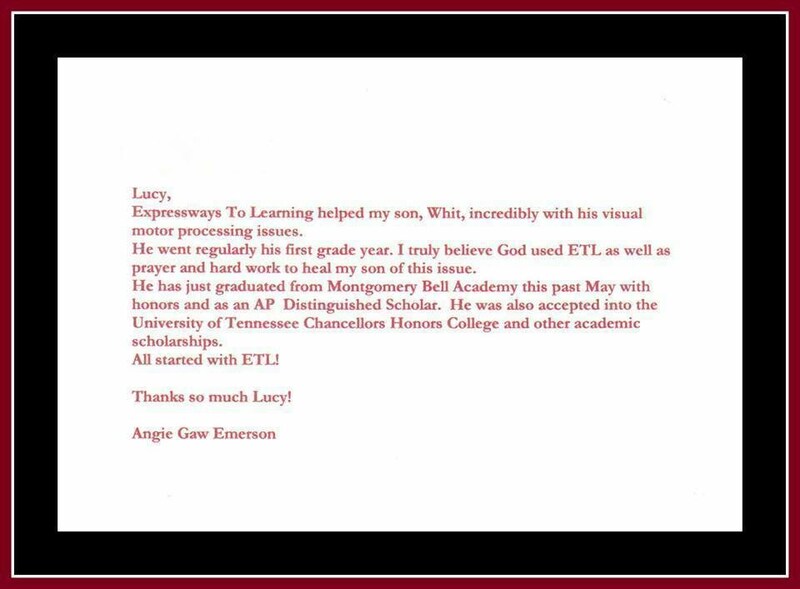 ETL Student increased ACT Score from a 24 to a 32 in READING! I wanted to take a moment to say a heartfelt “THANK YOU!! !” for all your help and assistance in getting Whitney a new pair of Irlen contact lenses made to specifically fit her eyes and to give you a quick update. As you know, she would NOT, under any circumstance wear the other pair because they drew such negative attention and comments and covered her light blue eyes in dark brown. Since she received her new pair she wears them every day to school and when she is driving. Driving was a huge worry with us because she was so severe. These contacts fit her eyes so well that I can’t usually tell when she has them in. She hasn't received any negative comments either so she feels very comfortable wearing them which has helped her self-esteem. Last October she took her ACT test for the first time without her contacts in. She scored 24 in reading. She took the test again with her Irlen contacts in and scored a 30 in reading! That is a huge difference and I am so proud of her. I was recently talking to her guidance counselor and she stated that the day before she was going through Whitney’s file and that she was so excited to see that Whitney had scored so high in reading. She then said she saw the letter from you in her file stating that she had Irlen Syndrome and that she was totally blown away at her excellent achievement. She couldn't believe Whitney had been able to do as well as she had before and knew what a struggle it had to have been and that she was obviously working extremely hard. She also said that most students do not score anywhere near that high in reading and the fact that Whitney did so with her disability was incredible and that she was so proud of her. I assured her that we were too! Thank you Lucy for your help and perseverance for Whitney and getting a pair of contacts to fit her eyes. We appreciate all you did for us and Whitney is now reaping the rewards!! P.S. I just had to let you know the latest regarding Whitney. She took her ACT again and just got her score back. She scored 32 in reading! That’s up another 2 points!!!!! She is so excited and called me as soon as she found out. I wanted to share the good news with you. God is good!! Thank you, thank you, thank you, for all your help! My name is Jamie Hill and I am pleased to write a testimonial of our experience with Expressways to Learning. We have three children; one boy 12 and two girls 7 and 3. Stephen; our son, had a profound hearing loss during his first 7 years of life. After surgery he has perfect hearing but the damage had been done to his education. His formative years of learning reading where lost to us and we saw how he struggled to learn. After a frustrating time dealing with an unsympathetic school we pulled him out and I home schooled him. His scores came up but I soon realized that he had a problem. He required continual assistance to keep him on track and focused on his work and he continued to struggle with his reading. We moved to a new school district and he was tested and was put into resource. When he entered the 5th grade he tested around a 2nd grade reading level. A friend recommended Expressways To Learning to us and my husband and I felt like we had to try something. Sitting in our initial meeting we both did not think it would be effective. But we were desperate to try something. All we wanted was for Stephen to do his best and we believed he could be a great success at whatever his passion might be. Our main concern was that he would give up on the educational experience and drop out at 16 years of age. We agreed to try 100 hours of tutoring and we were dedicated to it. He gave it his best on most days and we began to see improvement around 65 hours. He was getting his class work and homework finished in school and his grades were coming up. At the end of the school year Stephen had completed around 80 hours of tutoring and I called an IEP meeting and asked if he could be removed from all accommodations that were being made for him. They agreed he was ready for it and tested him. His reading test showed that he was now reading at a 5th grade level. They and we were amazed. I credit his great strides to Expressways to Learning. Their program really works! Now we know Stephen will be a success; he has the tools he will need. He has also gained the realization that with hard work he can achieve his goals…better grades and success. I just wanted to thank both you and Mandi for all of your help and support over the past year as Mack participated in the home study program from ETL. Because Mack is autistic, I had all but given up hope that he would ever be able to read. I had tried many programs over the years but with NO success. Now, after a short period of time he is reading at a 2nd-3rd-grade level and improving every day. I am still amazed that just over a year ago I brought you a child who had a difficult time recognizing all the letters in the alphabet. This new ability opened up many opportunities in both his personal life and his educational setting. This past school year he was able to spend more time in a typical classroom than any previous year. He will be starting fifth grade with a regular class and only leaving for short periods of time. He is still on a modified curriculum, but this placement would not be possible if he were unable to read. 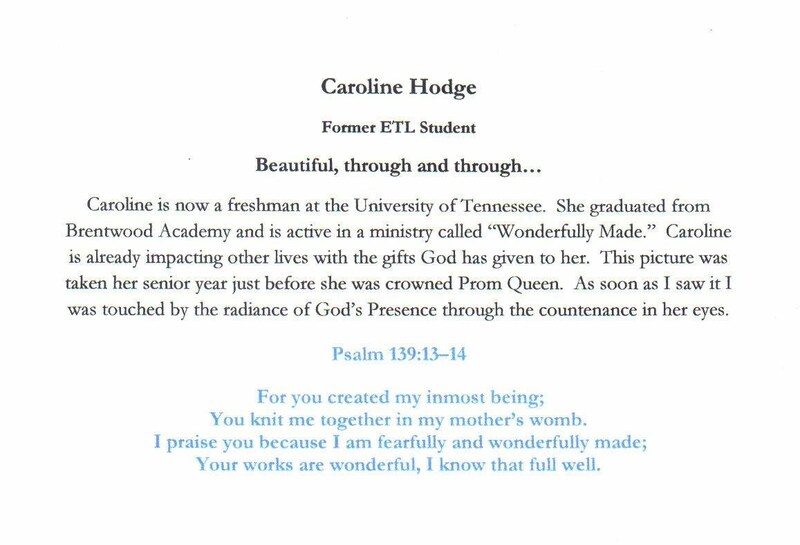 I will never be able to express my true gratitude, but I do want you to know what a positive impact ETL has made on Mack’s life. 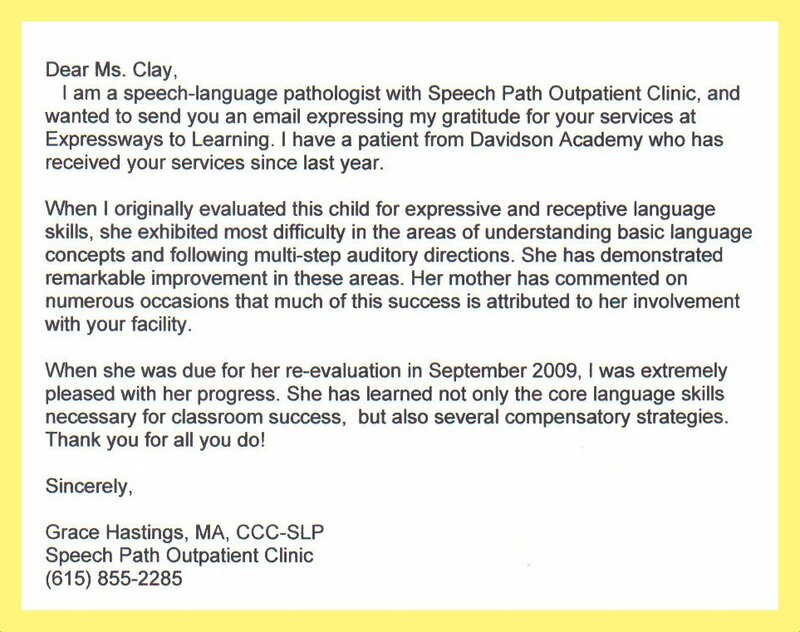 If you ever need a reference, especially with the parent of an autistic child please do not hesitate to contact me. Also, I am willing to share his test scores if anyone would like to see the proof of his success. However, the best proof is to listen to him read! THANK YOU! I want to tell you a story about a little boy. Starting preschool, he hated it- he hated everything except recess and lunch. He especially hated the daily activities that involved mosaics and puzzles. He would begin to cry and finally find his way down the hall to his mother’s office where he had rather take a nap than try to work a puzzle. His mother thought he was immature and needed time to develop. He then began 1st grade at Friendship Christian School. It was a struggle, but it was manageable. However, by the third grade, everything exploded…, learning became a struggle. It took a team effort (his teacher, his mother and him) just to do the work. He hated school so very, very much. His family lived very close to the school, so in the summer when they would drive by the school, he would cover his eyes or lay down in the seat so he would not have to look at the school. This was the year he began full time tutoring. His tutor knew he was embarrassed to be pulled out of the room to get help, so when she came to the room to get him she would always say, “I am here for his foreign language class.” She tried very hard to make him feel good about himself. At the end of 3rd grade, it was recommended by his teacher and tutor to have him tested by the county. It was confirmed that he was dyslexic. Wow! What do they do now? --- So, they added more private tutoring throughout the summer. As they were driving home after the first day of school in 4th grade, he asked his mom how long it would be until summer vacation…She knew at that moment, it was going to be a very long year. They continued with private tutoring every week through 5th grade. He still hated school with a passion except for recess and now Bible. He loved Bible! He would come home from school and try to read stories to her he had learned that day at school. The work was beginning to be more than he could handle and he was getting farther and farther behind. They loved Friendship and did not want to leave, but at the same time could not imagine 6th grade for him. They knew it would be selfish to keep him at Friendship. So they began looking for ways to help him. 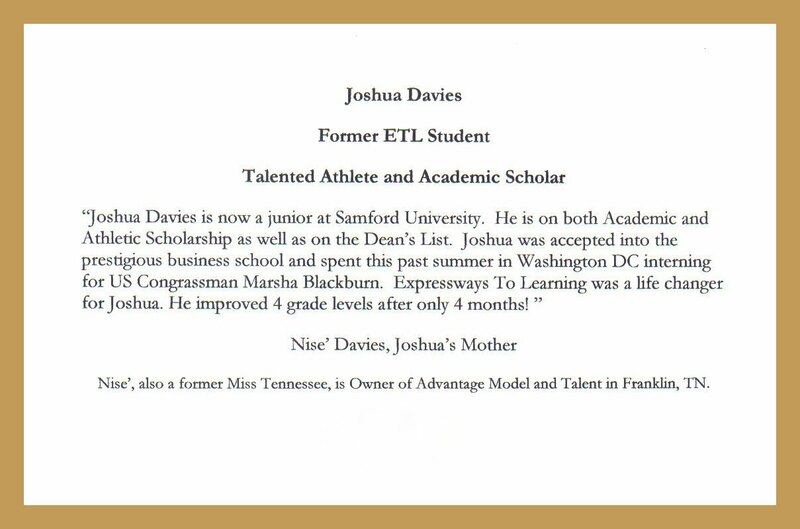 His mom found a school in Murfreesboro that could help his dyslexia. At the same time, she was searching for any program that could help him after school so he could stay at Friendship. It was recommended that a teaching program called Expressways To Learning would help. He was evaluated and was to attend 4 days a week after school. This seemed like torture for a boy who hated school so much, now he would have to go an extra 2 hours every day. So a hard choice had to be made. They made the decision to withdraw him from Friendship and enroll him in the school in Murfreesboro. This was the hardest decision they ever made, but they felt it was the best for him. Their hope was that he would study a year in Murfreesboro and then return to Friendship. He had been at Friendship since 1st grade; he loved his friends and his school. He just learned differently. That summer the mom began to work at the school that he would attend. She wanted to make the transition successful and easy for him, plus she wanted to learn how to help him learn. Together, they made a pact that they were in this together and together they would learn. Even though she was training to work at the school he would be attending, at the last moment, she found out that she would be working at one of their other locations. This put a whole new twist to their plan…, and yet God had other plans. While all of this was happening, God was working through a teacher at Friendship. Kari Ferrell had heard about the same program, Expressways To Learning and she was so excited about the way it could help students at Friendship. As always, God’s timing is perfect and He brought this family, Kari Ferrell and Friendship all together at the right time. You see, this family is a real family -- it is my family and the little boy of this story is my son, Christian. In August 2004, Friendship began the Expressways To Learning program in its newly created Learning Enrichment Center and Christian was able to begin his 6th grade year at Friendship, instead of our plan to go to Murfreesboro. God’s plan immediately went to work. Christian began his efforts in the Learning Center and within 3 ? months he had made an average 2 year grade level gain. 2 YEARS!! This is tremendous results! When you see how proud he is now, you know how deep his pain has been. As he is coming to the close of his 6th grade year, he is walking taller due to the confidence that has been built through successful learning. If you were to open any of Christian’s notebooks today, you would find a card made by him that says 100% ALL THE TIME. He says that he made this to remind him to keep on going even when it gets hard. But the best part about this story that I bring to you is that it isn’t just about Christian. Other students here have increased their knowledge and learning skills through the Learning Enrichment Center here at Friendship. 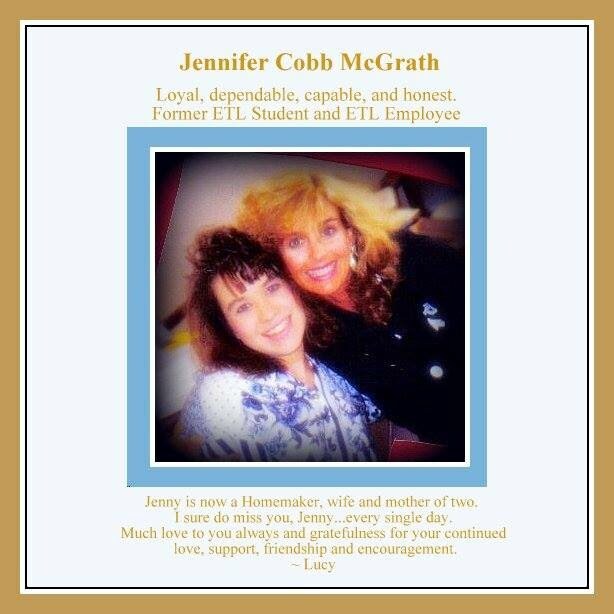 So, on behalf of our 46 students currently enrolled in the Learning Enrichment Center, all who on an average have seen a year and a half grade level gain, Kari and I would like to say thank you to our Board of Directors, Jon Shoulders, Becky Kegley, Veronica Bender, Kristi Chaffin, our teachers and our parents for believing in us and supporting our efforts as we help to establish this wonderful teaching program for our children. YOUR CHILDREN. The potential for students to learn—and just as important—our school to teach—has never been so promising. Thank you for listening to my story.